Aerial photos and videos taken with a 300,000-pixel camera with Wifi transmission. The rugged aircraft features a highly crash-resistant, resilient plastic frame. Height hold function: The powerful air pressure hold function allows you to release the throttle stick and the drone will continue to hover at the current altitude. 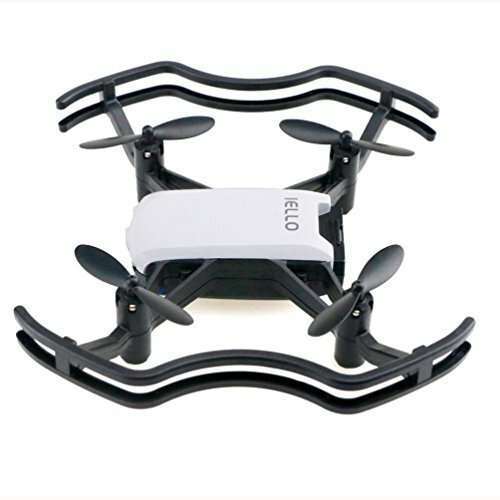 Rise/fall, turn left/turn right/Forward/reverse/left and right side fly/3D roll / 3 speed / headless mode/Air pressure setting/15 kinds of dance arrangement, module battery, long flight time, double protection ring/"WIFI can be controlled by a separate phone/Trajectory flight, gravity sensing, HD photo, video, 180° self-timer"
Aerial photos and videos taken with a 2MP camera with Wifi transmission.